If we can’t wait to tell our girlfriends about our new favorite Netflix series, you can be sure that when we taste the difference that Jesus makes in our lives, we’ll want other people to experience the same. Nowhere is that desire more intense than when mothers want to pass their faith to their children. I’m often asked about good resources for this, and what to do about older kids who have stopped coming to us for advice and who probably aren’t listening to us much at all. It would be so simple if the solution was found in a book or a program that I could recommend. But that’s not what I’ve seen to be the most effective. 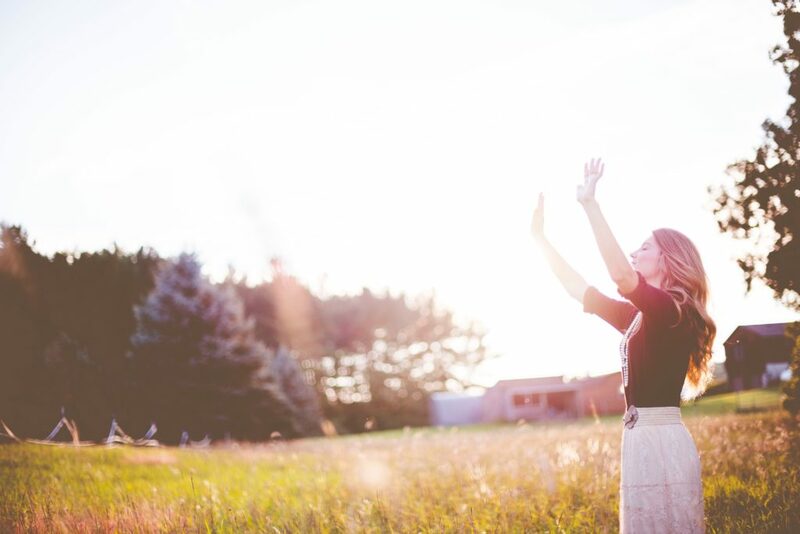 Here’s what I think is the total game changer: MAMAS WHO ARE RADICALLY OBEDIENT TO GOD. In 1 Samuel, we find Saul, a man who stood head and shoulders above all the Israelites. God chose him as Israel’s first king, but even with all his accolades, good looks, brawn, and leadership opportunities, Saul had self-esteem issues. We know this from the words of the prophet Samuel, Israel’s spiritual leader. In I Sam. 15, Samuel was calling Saul out for not obeying the Lord. Saul was supposed to wait for Samuel to come and offer a sacrifice before a battle, but fear crept in, patience wore thin, and Saul took matters into his own hands and did it himself. “Though you are little in your own eyes, are you not the head of the tribes of Israel? The Lord anointed you king over Israel.” (1 Sam. 15:17) He then went on to ask Saul why he didn’t obey the voice of the Lord after being given clear instructions. And Samuel’s answer brought down the hammer; “Has the Lord as great delight in burnt offerings and sacrifices, as in obedience to the voice of the Lord? Surely, to obey is better than sacrifice, and to heed than the fat of rams.” (1 Samuel 15:22) Then the news was delivered that God had rejected Saul as king. Obedience didn’t just matter in the big stuff. God was concerned with the details. So back to our kids and our desire to pass our faith to them. There are great materials and programs out there and we are wise to expose our kids to them. But there is nothing that will have greater effect than our own radical obedience– not just in the big things, but in the little day-to-day decisions that most people in our lives don’t see, but our children do. Romans 12:1 says that we are to “offer our bodies as a living sacrifice, holy and acceptable to God, which is your spiritual worship.” This is a picture of us offering everything we have on an altar to God. It’s a declaration that we are willing to take our hands off our lives and let God be utterly in charge. It’s giving Him the right to call the shots on the big things and the little things. It’s committing to a life of prayer where we are in touch with God throughout the day so that we recognize the small ways He’s asking us to obey, not just the big and obvious ones. It’s committing to radical obedience where we do what He has asked ALL THE WAY, RIGHT AWAY. This is what our kids notice. This is what impacts them deeply. Our kids are asking the question, “Is this faith thing for real? Does Jesus really make that big a difference?” And they look to our lives more than our words for the answer. We hear that call to offer our lives as living sacrifices–to obey radically–and all too often we say, “God, I’ll obey you if….”. Make no mistake. Whatever is on the other side of that word “if” is what we want and worship most. That is what we are willing to sacrifice for. And our kids know it. They see it. We all worship something. Whether it’s comfort, a career, a relationship, status…there is something that we will give anything to have and hold onto. God asks that it be HIM. He asks that our obedience not be tied to conditions. The only way we will ever be able to obey Him in this way is if we see Him as infinitely wise and infinitely kind. We need to know Him in order to trust Him. This is why we delve into Scripture– so that we can know Him better. So that we can see evidence of His wisdom in order to trust in His plan for our lives. In order to hear of His kindness so that we remember He is utterly FOR US. Where is God asking you to obey right now? What choice is in front of you? Who will you worship in this moment? What is holding you back? I pray that we can follow hard after God in the big and in the small, because what our world needs is women whose trust in God translates into brave and radical obedience. Being up to date on our social media feeds, having perfectly organized homes, nailing it with deliverables at work– all of that feels great. But the simple acts of obedience CHANGE THE WORLD.